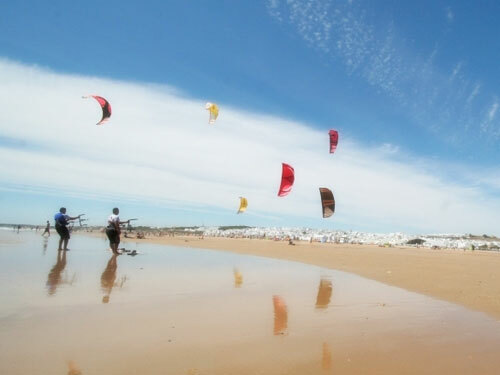 Conil de la Frontera is one of the resorts with the largest number of beaches in the whole of Cádiz: among the finest are Castilnovo, Los Bateles, La Fontanilla, Fuente del Gallo, Quinto and Camacho bays, Poniente (east) bay, Cala del Aceite (oil) and Roche. Most of these beaches are perfect for practising or simply enjoying watersports such as surf, windsurf, bodyboard, kitesurf … as well as beach fishing, or surfcasting. Castilnovo has a longitude of 2600 m and an average width of 180 m, with fine golden sand, as well as abundant and well-maintained greenery. It is linked to the Playa del Palmar beach, just inside the municipal area of the inland hilltown of Vejer de la Frontera. A continuation of the Castilnovo beach and its salt-water river estuary. 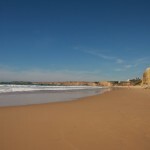 This is the main town beach for Conil and has all beach facilities, such as lifeguards, safety notices, and – in summer season – beach bars and sporting facilities. 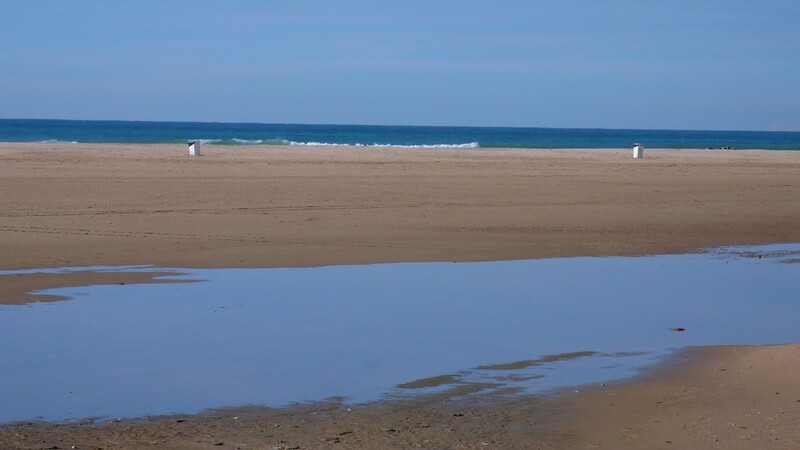 A quiet family beach, just a walk from the centre of Conil. 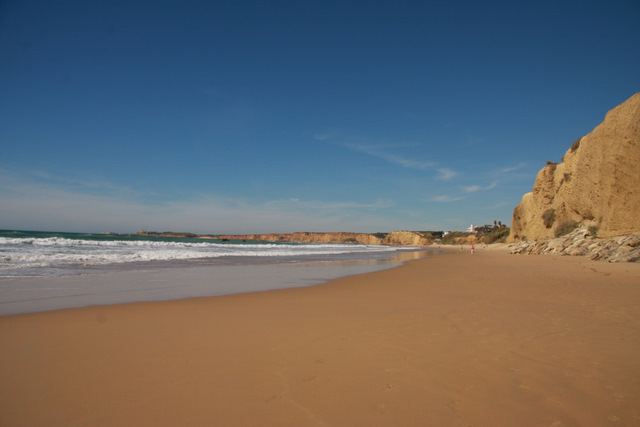 We recommend the walk here, in the direction of El Palmar, just before sunset. It’s rich in shells and other treasures of the sea. 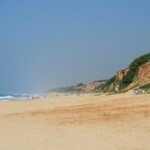 A country beach with a high occupancy level; it has a notable but moderate swell, and fine gold sand. It also has a lifeguard service and beach safety signals. Among its bays and coves are: Quinto and Camacho (Cala Melchor, Cala Pitones and Cala Sudario) with its reddish earth – very characteristic of the locale – and suitable for nudist bathing. 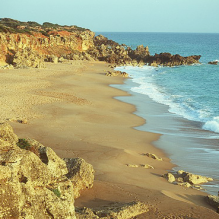 It has 600 metres of sand and sparkling clear water to lure you into the sea. Cala de Poniente. Conl PlayasThere are six very small bays and coves on the Poniente beach: Cala Encendida, Cala Aspero, Cala Pato, Cala Medina and Cala Frailecillo. In these, the same as on the Cala del Aceite beach, nudist bathing is commonplace. On Cala del Aceite beach there is very fine sand and incredibly blue water (sheltered from the wind by the cliffs that surround the area and in the middle of dense pine forest) and in summer a beach restaurant (booking recommended, as it is popular and busy). It is highly regarded by everyone who visits it, and even though it isn’t difficult to find if you don’t know the surrounding area it might be a little complicated to reach. This is a beach reached by cliff but at the point where the cliffs – at the beaches of Pleamar, or Marea Alta – disappear completely. 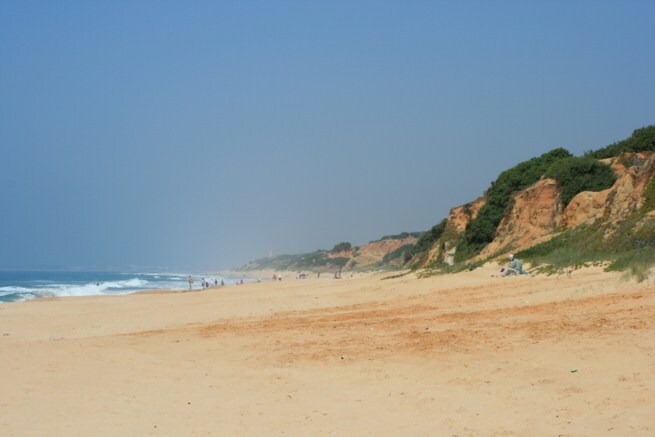 It has a total of 1000 m of beach suitable for windsurfing, with only a moderate swell, and occasionally for surfing and bodyboarding, but lacks any of the facilities that might see this remote beach transformed into another ‘jewel’ of the zone. This is a very special beach and we ask everyone who visits it to take care and not leave litter here. 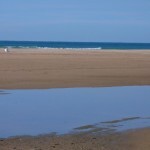 Playa de Roche. Playa de ConilThe beach below the small suburban area of the same name, this is a beach with a medium length (2200 m by an average width of 40 m) with moderate swell but also, occasionally, stunning conditions for surfing and bodyboarding, with large waves and, if there’s an off-shore wind, with breaking waves and tubes. Uniquely for a surf beach it has lifeguard service during the summer. Access is simple; just look for signs for the Roche beach and follow the directions. 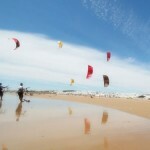 As can be seen from our search, the beaches of Conil de la Frontera are excellent all year round. Landscape, peace, sun … the perfect conditions to escape the routine and meet nature face to face, which could be said to be the key characteristic of everyone who visits here. There are also some outstanding nudist beaches here, where visitors can enjoy the sun and landscape in total liberty.